Investing in property is considered as a wise investment decision because when the market is stable one can realize a profit upon selling the property. The Canada Revenue Agency (CRA) classifies property as ‘capital property’ and any profit made from the sale of a property is referred to as ‘capital gains’. The capital property also includes real estate stocks and shares and the capital gains are considered as any amount above the buying cost (adjusted cost base) less any expenses that are legitimately associated with the sale of the property. Many people erroneously think that the entire amount of capital gains is taxed at the marginal tax rate. This is not the case as only 50% of the amount gained from the sale is taxed at the marginal tax rate, a rate that varies depending on the province. This means that an amount of 50,000$ in capital gains will have half of it taxed i.e. 25,000$. The investor gets to keep all that remains after half the amount has been taxed. CRA regulations have a systematic guide that explains how capital gains tax can be calculated. 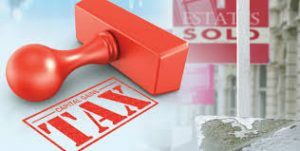 There are however different ways to legally reduce or avoid the capital gains tax, and there are even properties that receive a full exception from the tax. A principal residence is a property that has been where you have lived for every year you have owned it. Previously the law did not require homeowners to report the capital gains made from the sale of a principal residence. However, the law has since been revised and now any sale of a principal home must be reported when one is filing their income and benefits returns. The report requires basic details about the property such as the date it was acquired and the proceeds made from its sale. The Canada Revenue Agency has listed all the properties that are categorized and considered as a principal residence on their website. The property is a housing unit, has been acquired as leasehold interest in a housing unit, or is a share of capital stock in a housing corporation acquired for one to inhabit. Capital losses made from other investments can qualify you to receive an offset on the capital gains tax. This means that should you make a loss on other capital investments you will not be required to pay any tax on the amount you make from the sale of your property. Sometimes one does not immediately receive the proceeds or capital gains after selling an asset. In such a situation, the capital gains may be deferred. Property sales in Canada are taxable, but there are different considerations as indicated by CRA regulations, which can offset or reduce this tax. It is prudent to be familiar with the law when it comes to capital gains tax and a good place to find this information is the CRA website.